The first single from the upcoming album will be released on Thursday. 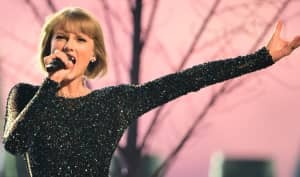 Taylor Swift has announced the upcoming release of her sixth album, Reputation. The singer recently scrubbed her social media accounts of content and has been posting cryptic videos that feature a snake. The clips appear to be hinting at the release of a single, which will arrive on Thursday. Swift's last album, 1989, was released three years ago.